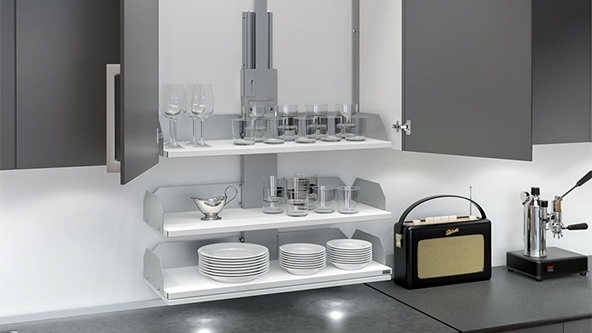 Stylish and discreet, the Verti requires minimal installation work, and can be retrofitted into existing kitchen wall cabinets. Controlled by either push button or remote control, the lifts come in a range of sizes to suit all cabinet widths and depths. The systems are also fitted with a safety stop system, which prevents the lift's movement in the event of an obstruction.